[File] NLL buffer zone, there is a Marine Corps. Yesterday, the reporters of the Ministry of National Defense visited Yeonpyeong Island in accordance with the declaration of the buffer zone around the NLL in the west sea. Park Tae - won, a resident of Yeonpyeong Island, met with reporters. "Do not touch the skin. Yesterday (1 day), the reporters of the Ministry of National Defense visited Yeonpyeong Island in accordance with the declaration of the buffer zone around the NLL of the west sea North Limit Line. Park Tae - won, a resident of Yeonpyeong Island, met with reporters. "I do not touch the skin," said Roh Moo-hyun, "but the situation suddenly changed (North Korea), and after that, there is a lot of pain in the 5th degree of the West Sea. I do not think the restoration of trust is like those in North Korea. " Mr. Park is in charge of the permanent representative of the Peace Water Movement Headquarters and thought he would reveal the expectation of the buffer zone. The officials of the Ministry of National Defense were embarrassed. Not only the residents of Yeonpyeongdo, but the Marine Corps, especially the former and current marines who remember the Yeonpyeong Island bombing on November 23, 2010, are not like the 'virtual inviolable agreement' Seals can be recycled at any time if they are sealed with concrete and prohibit sea firing. As Mr. Park says, I do not think it is a step toward making the inviolability until the inter-Korean relations continue to show progress and mutual trust is firmly established. Yeonpyeong Island has Marine Corps Yeonpyeong troops stationed there. When you look north from the observation station of the unit, there is an island called Galdo on the spot where you can catch it. It is 5km away from Yeonpyeong Island, and it is an inhabited island equipped with an observatory observing the south and a coastal port. There is Jang Jae-do in the northeast of Raho. Kim Jong Eun is an island that has come to be known by visiting this side. One major troop was armed with 76.2mm and 122mm shore. The coasts of Lada and Jang Jae Do were not visible to the naked eye on the north slope. A cave-like shore-gun spot along the dog-head coast of the Ongjin Peninsula, 12 km from Yeonpyeong Island, was caught by the camera's telephoto lens. There were four of them, two of them cloaked in the bushes, and two of them were clearly shaped. One of the two closed the door and the other one left the door open yesterday. A military official said, "Yesterday morning, we sent a traditional door to the North to ask for the closure of the gate, and from the North came the message," We will report to the upper section. " The immediate response to the traditional door is that the north side is not uncooperative in the buffer zone construction. However, the Marines talked about 122mm radishes, not coastal ones. On November 23, 2010, the firearm of North Korea that hit Yeonpyeong-do was 122mm radiant. It is a weapon system of North Korea which is similar to the rocket of our military. The rocket launcher is 30 to 40 times longer, allowing you to shoot 20 or more in 10 seconds. The range is over 20km. Yeonpyeong Island, 12km from the dog's head coast, was a good target for 122mm light. In November 2010, a reserve officer of the Marine Corps who guarded the site of Yeonpyeong Island said, "122mm has come down and it shoots like a rain and flew to the rear." "It is clear that Yeonpyeong Island is not a poorly- I have to know. " ● There is a Marine!  A Marine Corps officer asked the reporters, "What should I do when a dog is open on the dog's head" at the Defense Ministry's press room yesterday evening, after completing the coverage of the Yeonpyeong field site, saying, "I do not have to worry about the Marine Corps being open even if the poem is open." It was a light conversation with each other laughing, but the Marines and Yeonpyeong troops of Yeonpyeongdo were really stable. Leaders of the Yeonpyeong Fire Fighting Event The 7th generation of the K-9 self-propelled firearms training program was conducted more than four times daily. We also practice non-shooting mastery of various rocket ceilings and spike missiles three times a day. An officer of the Yeonpyeong unit said, "We are practicing battle placement exercises to remember the body first rather than the head and react immediately." When I was in Yeonpyeong, I was a 7th company. The K-9 self-propelled fire was set on fire by a preliminary strike by the North Korean 122mm Radiator, but it turned off the fire and replied as the body remembered. They were 'shooting machines' and their juniors are also like your seniors. The Marines' so-called The Strong Special Elite Noble project was also being intensively trained in Yeonpyeong troops. It is a program to concentrate mental power, battle shooting, combat physical strength, and survival skills four to five times a week. The Yeonpyeong Marine Marines have completed a variety of tasks with a total of 30kg, armed with 260m. I sat up with two 15kg tantric tanks, ran up 10 times, and ran back and forth on the 60m zigzag course. I shot the bombs in four different poses, such as shooting down, squatting, kneeling, standing and shooting. Beyond the head of the dog, the Radical Brigade is playing a role in the main battalion of the 4th Army Corps. Only 122mm radios are 36 doors. In the Yeonpyeong unit, the shells of K-9 self-propelled guns are piled up like mountains. It is a place that can be lit at any time though it is closed without closing the fire. Although it is estimated that the declaration of the buffer zone is the first step toward disarmament, the contents are close to the process of restoration of trust, which is the previous stage of disarmament. The NLL's crisis is ongoing until we turn the bulb's port on the back of the coastal shore northward and further move the bulb to the north. I will pay homage to the sweaty marines in the winter weather that came early there.